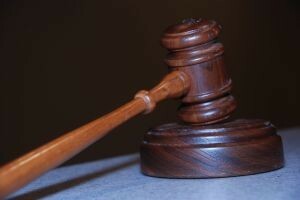 Most Boston personal injury claims will settle prior to going to trial. Mainly, this is due to the fact the insurance company will assess the possible risk of going to trial and the cost of defending an action at trial and usually offer based upon these calculations. However, if an insurance company does not make a reasonable offer, which provides plaintiff with a full and appropriate financial recovery, it will be necessary to take the case to trial and fight for plaintiff’s rights in open court. If your attorney is going to take a case to trial, it is essential he or she has handled many cases in court before and is well versed in the rules of evidence and trial practice to increase the likelihood of a successful outcome. The first thing to understand is Massachusetts does not have formally codified rule evidence like most other states, so it is technically improper to refer to a particular rule by number, even though it happens all the time in court. These numbers generally come from the Federal Rules of Evidence (FRE), which apply in federal courts as well as state evidence codes, which typically closely resemble the federal rules of evidence. This is not to say Massachusetts does not have any rules of evidence, they just do not come from a code book or the Massachusetts General Laws (M.G.L.). As our Boston personal injury lawyers can explain, in Massachusetts, our rules of evidence comes from case law, meaning decisions, which have been made by judges in the Supreme Judicial Court (SJC), but they are very similar to the Federal Rules of Evidence and the state codes in most other jurisdictions. This is because they are largely mandated by decisions from the U.S. Supreme Court. In Lindbo v. Colaska, Inc., a case from the Alaska Supreme Court, plaintiff was waiting outside his truck, and defendant who as the operator of an asphalt plant was trying to get him to move the truck. Defendant could not get plaintiff’s attention so he allegedly threw a can of some type at plaintiff and it hit him in the back. When he got hit by the can, he testified he fell to his knees and was injured. He went to the emergency room for treatment and subsequently filed an assault and battery civil lawsuit against defendant and his employer. In addition to the assault and battery claims, which are intentional torts, he also filed negligence claims. The negligence claim was filed under a theory of respondeat superior against the employer. Under the doctrine of respondeat superior, also known as the master servant doctrine, an employer can be held vicariously liable for tortious conduct alleged to have been committed by employees. The main requirement is that an employee was acting in furtherance of his employer’s interests when committing the tortious conduct. While it may seem odd to think of throwing a can as an acting in furtherance of his employer’s interest, the allegation is that he was trying to get the truck driver’s attention so he would move the truck for the purpose of continuing with his work at the asphalt plant. He was therefore, not throwing the can for the purposes of his own interests. Failure to give spoliation jury instructions. Improper use of allowing refreshing a witness’ recognition using documents which were discovered late. Allowing evidence of medical records pertaining to plaintiff. Admitting prior convictions involving theft. Denial of plaintiff’s request for a new trial. In an ideal world, a witness would be able to remember everything. However, in a real case, things do not always go as planned. When a witness is on the stand, it can be a very nerve-wracking experience and it is easy to forget things. For this reason, a lawyer is allowed to refresh a witnesses’ recollection by having the witness review a document you place in front of them, and then after they have reviewed it silently, you can ask the witness if their memory has been refreshed. Once they answer in the affirmative, you can ask them the same question and hopefully get the correct answer. The key here is the document is not actually being admitted, and the jury would not even get to see it. For this reason, it doesn’t matter what this document is because it is not admissible. When you are refreshing a witness’s recognition you can technically use anything to do it. There is a saying among trial lawyers you can use a banana peel to refresh a recollection. In this case, trial judge, and the appeals court concluded defendant did not use the documents as evidence at trial, because they were only used for the purpose of refreshing the recollection of their witness, so there was no error in the fact that they were late-discovered documents. This is likely what would happen in a Boston personal injury case as well. As a general rule, prior convictions are not admissible in civil cases because that would be impermissible character evidence. There are however, certain exceptions to this when the prior conviction is for a crime involving what is known as moral turpitude. This means it shows the witnesses is willing to lie or otherwise be dishonest, and that could impeach the veracity of current testimony. Ultimately, the state supreme court affirmed the jury’s verdict. have suffered personal injury in Massachusetts, call the Law Offices of Jeffrey S. Glassman for a free and confidential appointment — 1-888-367-2900.